A Freshmatic refill spray in exactly the same scent as Armani Aftershave! Releases bursts of cont.. 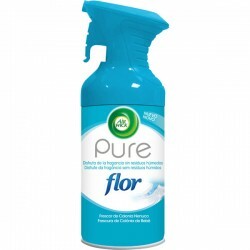 Concentrated Liquid Air Freshener, which eliminates odours and leaves a long lasting, beautiful and .. 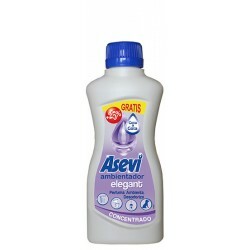 Concentrated Liquid Air Freshener, which eliminates odours and leaves a long lasting, beautiful fres.. 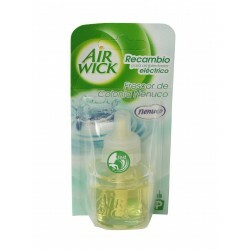 This baby scented Air Freshener offers a premium fragrance, eliminates unpleasant odours and acts in.. 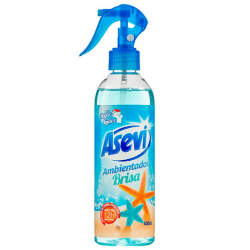 This baby scented spray releases bursts of continuous fragrance, so your home always smell.. 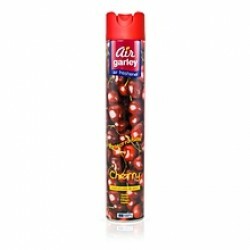 Fill any room with this long lasting scent of sweet and rich cherries! In a huge 750ml can, th..
Have your car smelling like Creed Aventus Aftershave! Please note Creed inspi.. Highly fragranced soy wax melts in the scent of Creed Aventus! Contain 6 cubes and suitable for.. This creed inspired home fragrance Plug in refill Air Freshener is to be used in your home, fil.. This creed inspired home fragrance Plug in refill is to be used in your home, filling any room ..
Now you can have your whole home scented like Creed with our Creed Inspired Room Spr.. 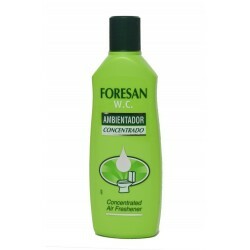 Concentrated Air Freshener for your bathroom and toilet. Add a few drops to your toilet or the corne..
Have your car smelling like Green Clover and Aloe, the fragrance that reminds everyone of Walt ..
Green Clover and Aloe scented, the fragrance that reminds everyone of Walt Disney World Resort! It’s..
An Air Freshener/Room Spray that is Green Clover and Aloe scented, the fragrance that reminds everyo.. 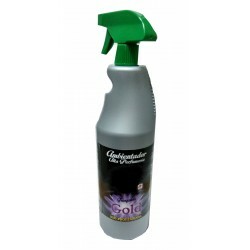 This Fresh Linen Air Freshener offers a premium fragrance, eliminates unpleasant odours and act..
Our newest Odour Eliminator has a beautiful 'fresh Linen' fragrance and removes any unpleasant odour..
An Odour Eliminator that smells like fresh, clean linen! 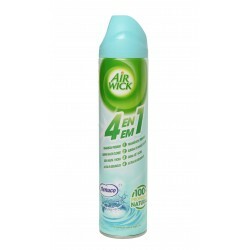 Can be sprayed into the air or directly ont..
Refresh and invigorate your home with this new dry Air Freshener from Airwick. 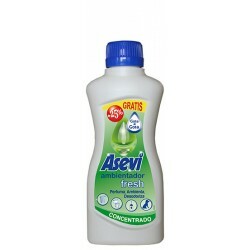 - Fresh Linen scen..
Super Concentrated liquid Air Freshener that perfumes any area. Great for bathrooms, bedrooms, car i..
Jean Paul Gaultier Fabric Spray. This multi purpose spray has exactly the same scent as Jean Paul Gaultier Aftershave! 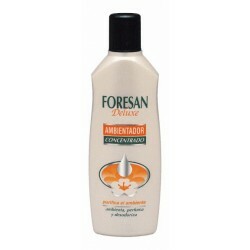 Can be u..
Have your car smelling like Fresh clean Linen! Please note Lenor inspired Car Freshener.. Highly fragranced soy wax melts in the scent of Lenor Spring Awakening! Contain 6 cubes and su.. 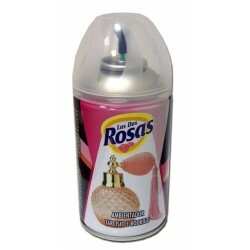 This multi purpose spray has exactly the same scent as ‘Million’ perfume by Paco Rab.. This concentrated liquid air freshener will fragrance your home with a gorgeous berry scent! Perfect.. Highly fragranced soy wax melts in the scent of Molecule 01. suitable for any burner. 1 -2 c..
A Freshmatic refill spray in exactly the same scent as Narciso Rodriquez perfume! Releases .. This 4 in 1 Air Freshener offers a premium fragrance, eliminates unpleasant odours, lasts up to an h..
You can now enjoy that gorgeous lemon scent in your car! It will keep your car fresh for up to 60 da.. Fill your home with the fresh and soft scent of Nenuco Cologne! 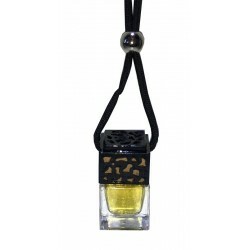 Lasts up to 80 days on min..
A decorative Air Freshener that perfumes your home with the Nenuco fragrance continuously, for up to.. 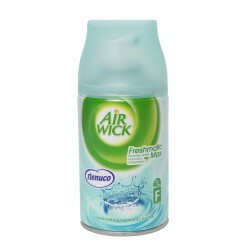 This Airwick Freshmatic automatic spray machine releases bursts of continuous fresh fragrance so you..
Freshmatic Refill spray – This automatic spray releases bursts of continuous Nenuco fragrance so you..
Thi.s multi purpose spray can be used as a room fragrance as well as a fabric deodoriser. 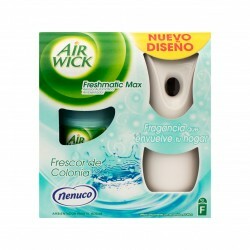 Can be use..
Refresh and invigorate your home with this new dry Air Freshener from Airwick. .. Fill your home with the fresh and soft scent of Nenuco Cologne! Lasts up to 80 days on minimum setti..
Sprinkle a few drops of this liquid freshener in the corners of any room to create a lingering and p.. 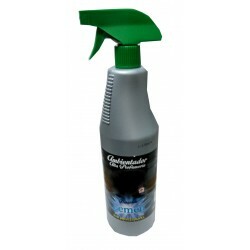 The hanging wardrobe Freshener will hang easily in your wardrobe to effectively ..
Freshmatic Refill spray – This automatic spray releases bursts of continuous Talcum powder.. Talc Scented Hanging Wardrobe Freshener (pack of 3) The hanging wardrobe Freshener will.. Highly fragranced soy wax melts in the scent of Baby Talcum Powder! Contain 25 heart shaped melts a..
Our new Car Freshener smells identical to the Aftershave Black Orchid by Tom Ford! .. Highly fragranced soy wax melts in the scent of Zoflora's Country Garden! Contain 25 heart shaped m.. Highly fragranced soy wax melts in the scent of Zoflora's Linen Fresh! Contain 25 heart shaped melt..